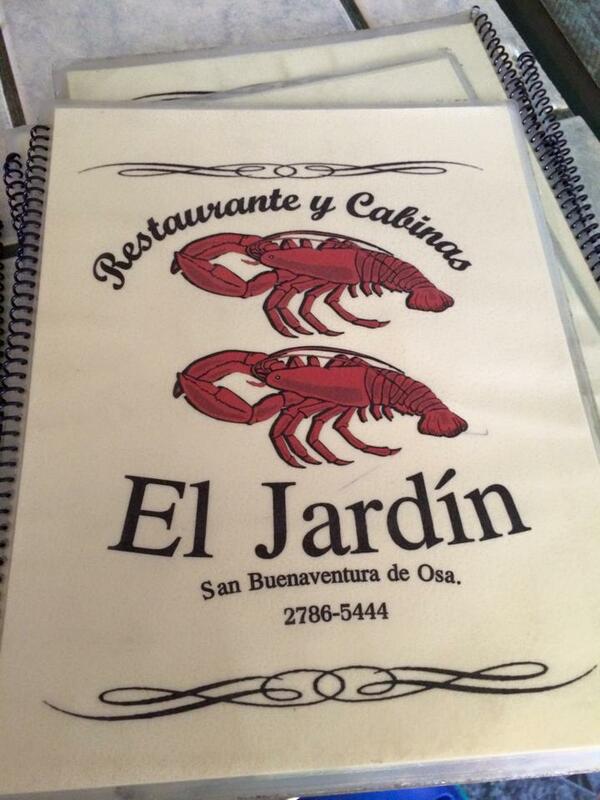 Walking distance from Las Villas de San Buenas de Osa is a wonderful restaurant called El Jardin. It’s a seafood restaurant but it doesn’t just have seafood. Seafood is simply their specialty and their seafood is rather outstanding. other seasonings, such as chopped onions, salt, and cilantro.) 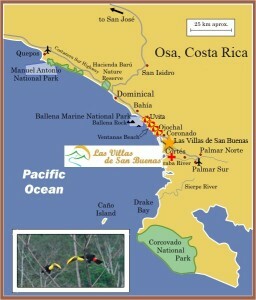 The ones I’ve had at El Jardin’s is some of the best I’ve had in Costa Rica. 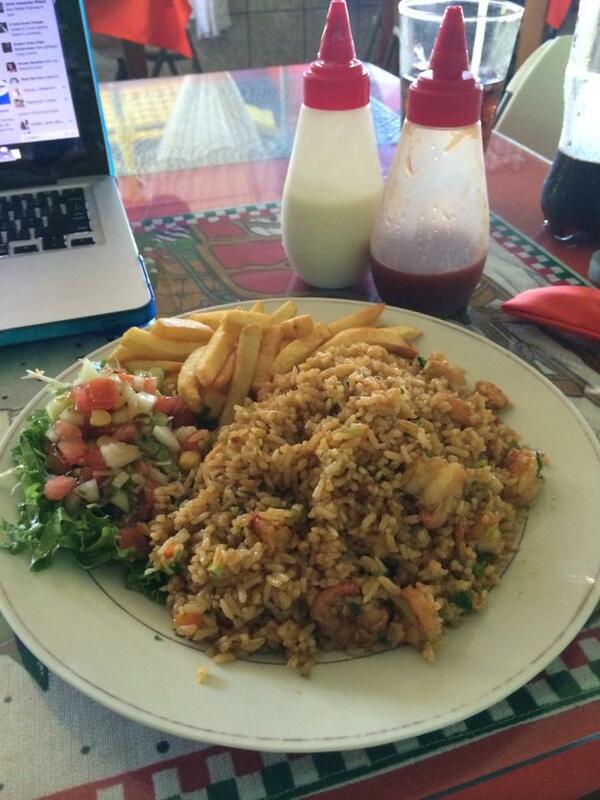 Casado a la Campesina, translates to Casado Country Style. 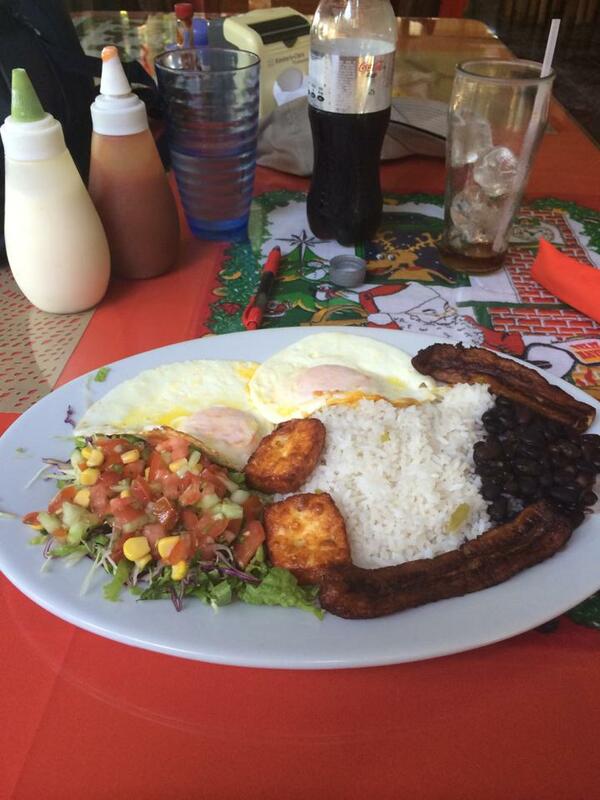 Casado is a Costa Rican meal using rice, black beans, plantains, salad, a tortilla, and an optional entrée that may include chicken, beef, pork, fish and so on Casado a la Campesina is typically served as a brunch or breakfast, incl. eggs over medium and fired cheese (queso frito.) Though I’m not a vegetarian I typically get this without meat because quite frankly, it’s enough food. You also get a small salad on the side with cabbage, lettuce and a pico de gallo top of topping with diced tomatoes, peppers, and cilantro and other seasonings. A lot of flavors are coexisting and it’s heavenly, not to mention high-protein, low-fat. A very close second favorite, and I typically get this when I get there later in the day, is Arroz con Camarones, a classic Latin American dish consisting of rice cooked in a shrimp broth and mixed with shrimp, sautéed onions, peppers, tomatoes, garlic, cumin, achiote and parsley. Frederico is the owner and main chef. Friendly, cheerful and bilingual, speaking perfect English which is convenient. A family affair, often his wife and son are also there serving food, taking orders, always cheerful, smiling, happy to see you. El Jardin is always neat and clean, you can eat outside on the patio or inside where the decor is cute with lots of vibrant colors. One of the numerous benefits of El Jardin is the free WiFi, I’ve done a lot of writing at this place and have enjoyed their strong, tasty Costa Rican coffee but on the subjects of drinks, I’ve got to mention Batidos en Leche, which is essentially, a Latin American milk shake. While it does come in vanilla and chocolate, it also has exotic fruit flavors like melon, mango, papaya, and my all-time favorite, pineapple. 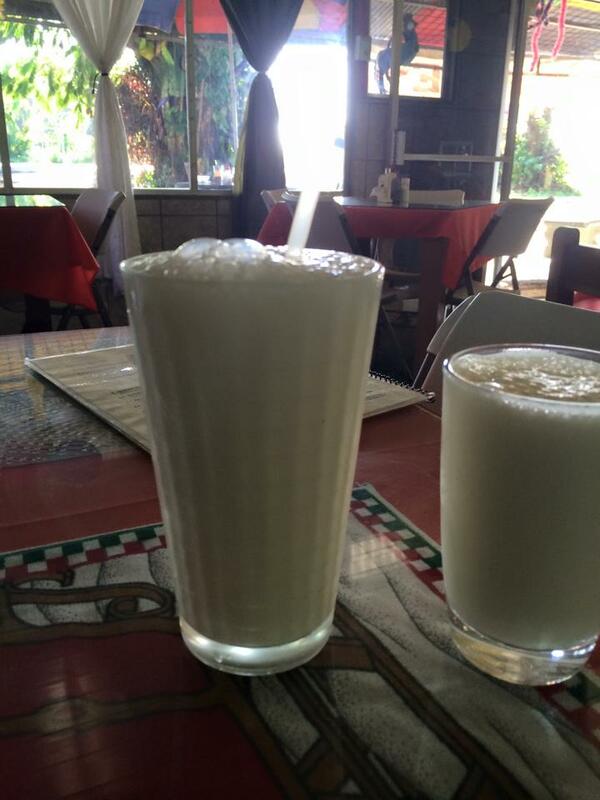 Oh, when it is hot outside and you’re sweating till your clothes are stuck to your body, there’s nothing in this world better than a pineapple flavored batidos en leche at El jardin’s. Try all the flavors and decide which is favorite. 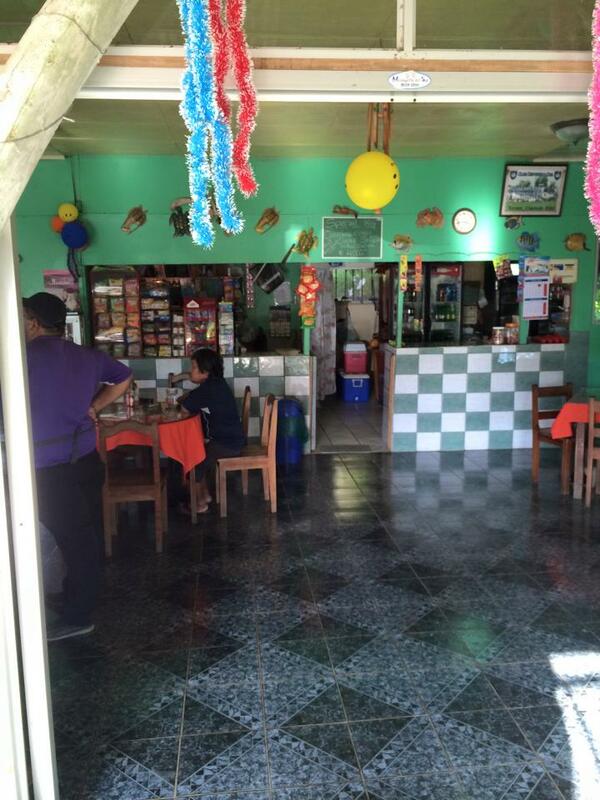 While staying at Las Villas de San Buenas de Osa, it’s good to know such a great restaurant is literally around the corner, walking distance from where you’ll be staying. Come see Frederico at El Jardin and try everything, I recommend it all, then decide which are your favorites. My name is Ezekiel Tyrus. I am the gatekeeper of Paradise. Contact me.